Bring on the rain (rain or shine they BITE). As expected, bait is piling up inshore, runs are less than 8 miles to the fish and blue water. Wish it was this good all year round. 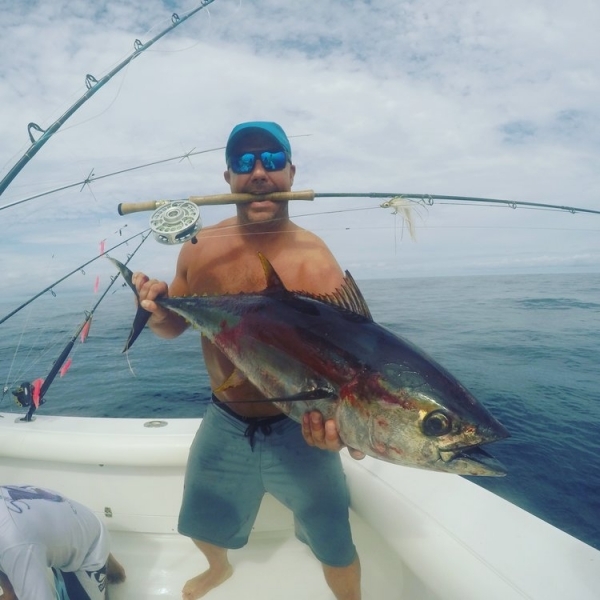 As soon as we hit the bottom of the pocket on day two with some fly anglers we loaded up on NICE tuna. 25-35 lb range. Great on the fly!!!! Currently 40-00 to the west of the pocket boats are seeing as many as 30 sails in a day!! Offseason?? Guatemala doesn't have one. As usually with floating debris means MARLIN. Most boats are average 3-4 shots in the shallows, while the thicker portion of the sails is just a few miles outside of that. Finally table fare is what this month is all about. If you find the right log, you can seriously load up on mahi. More to come as we get ready to do 9 days of fishing this JULY 1-10, 2017. The last two groups of May turned out to be great. 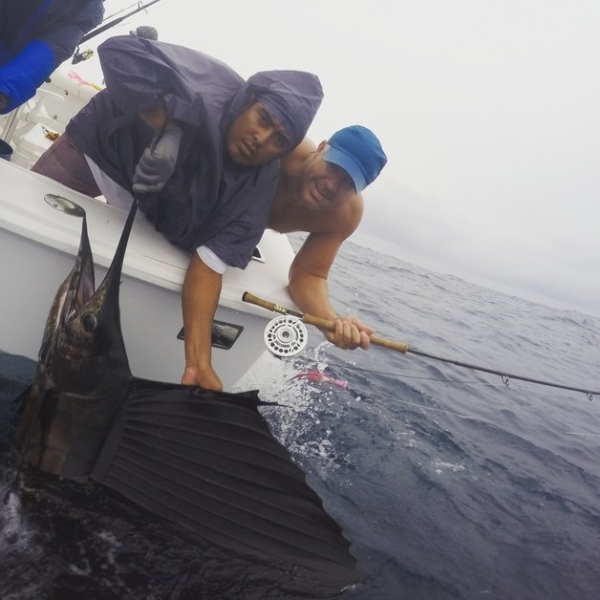 Last week a group of high school grads had a peak day of 25 sails in the spread, while releasing 1 for 2 blue marlin and lots of mahi throughout the day. 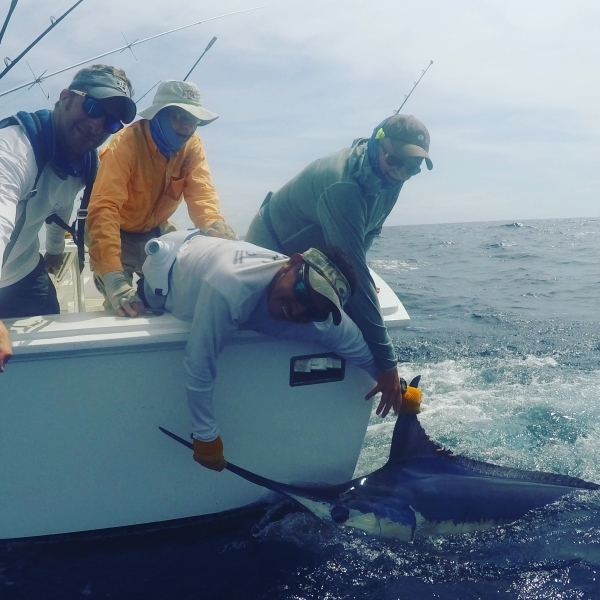 Finally the last few days we wrapped up a group of fly anglers (both first time for billfish), which were also successful on both their first blue marlin on conventional, as well as several sailfish on the fly. 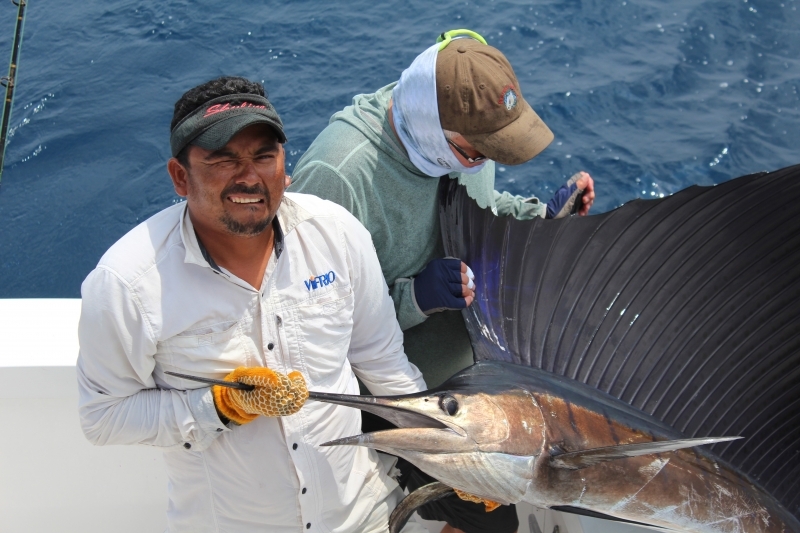 June we are back at it again on the fly as we get ready to go after more marlin and sailfish.